Hydro-jet cleaning can be done on your sewer drainage, rain gutters, downspouts, pool deck, and area drains. Hydro-jet cleaning of your drainage systems will save you money on replacement/repairs in the future. Just ask around about the cost of repairing or replacing all types of drainage systems. On sanitary sewer drainage alone, homeowners are spending thousands of dollars to repair or replace their sewer systems, a service most insurance companies no longer cover. Regular hydro-jet service to clean the drain lines will extend the life of your drainage systems and put off those costly repairs. A tankless water heater not only provides you with endless hot water but they can also save you up to 50% in energy cost. Plus, you could be eligible for a federal income tax credit. 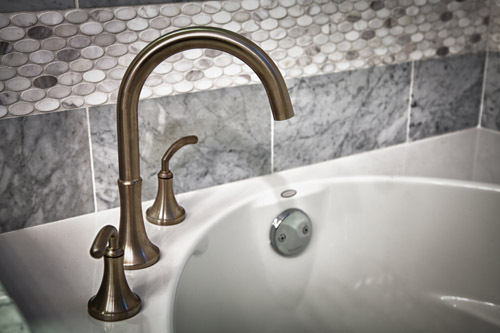 If you think you have a water leak below grade but are not sure, one thing you can do before calling us to locate is turn off all stops, valves, and faucets in the house and look at the water meter. if the meter dial is not turning then you do not have a water leak below grade. If the dial is still turning then it’s time to give us a call to further investigate.